A statewide survey reporting on rankings of the overall health of a county and the factors influencing health placed Fayette County near the top compared to Georgia’s 159 counties. The statewide study placed Fayette at No. 4 in terms of overall rankings in the Health Outcomes category and No. 2 in overall rankings in the Health Factors category. 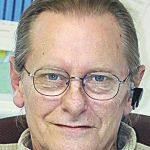 Fayette has been at or near the top for the past decade. The 2019 County Health Rankings and Roadmaps was complied by the Robert Wood Johnson Foundation and the University of Wisconsin Population Health Institute. Health Outcomes rankings examined how healthy counties are within the state. The ranks were based on how long people live and how healthy people feel in their life. The category included length of life and quality of life, where Fayette ranked No. 4 in both subcategories. The report also noted 13 percent with poor or fair health and 8 percent of newborns with a low birth weight. Health Factors rankings examined the health factors representing the variables that influence the health of a county. The ranks are based on four measures: health behaviors, clinical care, social and economic factors and physical environment factors. Fayette ranked No. 5 in the health behaviors subcategory, where variables such as adult obesity was reported at 33 percent, adult smoking at 13 percent, physical inactivity at 20 percent, excessive drinking at 16 percent and a reported 286 sexually-transmitted infections. Fayette ranked No. 2 in the clinical care subcategory, where data showed 10 percent uninsured, 46 percent received mammography screenings and 48 percent received flu vaccinations. Fayette ranked No. 3 in the social and economic factors subcategory. Data showed 8 percent of children in poverty, 89 percent graduating from high school and 78 percent with some college. Fayette ranked No. 73 in the physical environment subcategory, with no drinking water violations, with 81 percent of people driving alone to work, 48 percent driving alone with a long commute and 12 percent with severe housing problems. So where did Fayette place in previous years? Fayette ranked No. 1 in both major categories in 2011 and 2012; No. 1 and 2 in the two major categories in 2013; No. 2 and 3 in in the major categories in 2014, 2015, 2016 and 2017; and No. 3 and 4 in the two major categories in 2018. 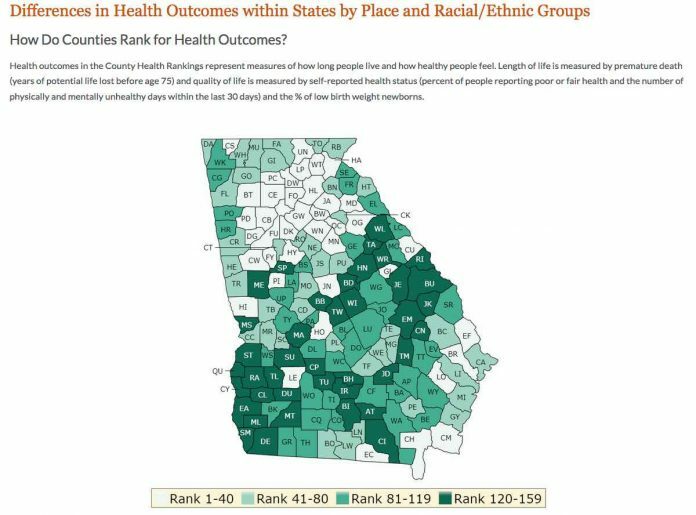 In terms of the statewide Health Outcomes rankings, Forsyth County was No. 1, followed by Oconee County, Cherokee, Fayette and Gwinnett counties. Rounding out the top 10 were Columbia County, Cobb County, Harris, Paulding and Coweta counties. With the statewide Health Factors rankings, Oconee County was No. 1, followed by Fayette, Forsyth, Columbia and Cherokee counties. Rounding out the top 10 were Union, Dawson, Cobb, Harris and Jackson counties.